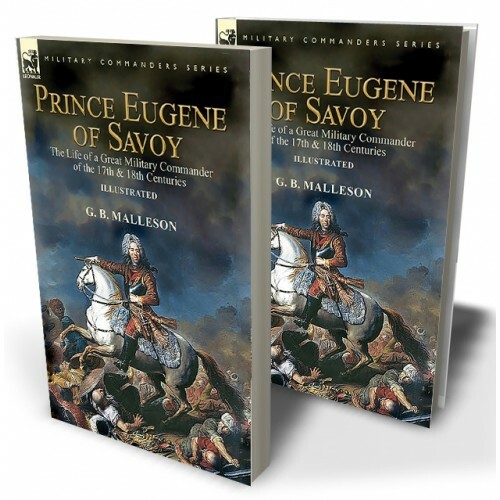 Many English language readers may have discovered Prince Eugene of Savoy in consequence of his collaboration with John Churchill, the Duke of Marlborough, during the War of Spanish Succession, most notably at the Battle of Blenheim in 1704. From this perspective Eugene has, perhaps, been characterised as a talented ‘assistant’. Nothing could be further from the truth. Born in 1663 in Paris, Eugene was a devoted soldier of the Habsburg monarchy, he saw action for the first time at the age of twenty at the great battle for Vienna against the Turks in 1683. From that time, for most of his life, he was almost constantly at war. He served throughout the Great Turkish War, the Nine Years’ War, the War of Spanish Succession, the Austro-Turkish War and the War of Polish Succession including his last engagement at Phillipsburg in 1734, just two years before his death in 1736, aged 72 years. He fought twenty-one major battles and rose to become a commander of the highest rank whose military genius and record of victories has placed him in the pantheon of the greatest military men of any historical period. Malleson’s book superbly focuses on Eugene’s career and is vital reading for those interested in the last attempts of the Ottoman Turks to establish an enduring presence in the West. Additionally, descriptions of Eugene’s actions at Blenheim, Oudenarde, Malplaquet and other engagements during the War of Spanish Succession are essential reading for students the period. His resolution once taken, he delayed not a moment in carrying it into effect. By the 1st August he had crossed to the right bank of the Po, and made his headquarters at Sailetto. Vendôme, meanwhile, not suspecting any movement on the part of Eugene, was pressing his incursion into the Modenese with one-third of his force. His task was remedied easy by the panic which had communicated itself to the garrisons of the Imperial fortresses. Reggio and Modena, both of which might have offered a solid resistance, surrendered at the first summons. Vendôme then marched to take a position between Luzzara and Guastalla, with the view of attacking one of other of those towns. On the night of the 14th August, he approached Luzzara. The information of Vendome’s march towards Luzzara reached Eugene that same night. He at once broke up his camp, marched in the direction of the enemy, and came in sight of him at 3 o’clock in the afternoon of the 10th. Vendôme, meanwhile, had summoned Luzzara, and had forced the garrison to take refuge in the tower which dominated the town. He was pressing it there when the news reached him that Eugene was advancing. Believing that he would be attacked the same day, he formed his army in order of battle. The left wing he rested on a strongly fortified building; the right on the Po, his front, which had a natural covering of dams and ditches, he proceeded to strengthen with abattis. Eugene halted about a mile and a half from Luzzara until all his troops should come up. This happened at half-past 4. Meanwhile, he had examined the ground and the enemy’s position, and had decided on his plan of attack. At 5 o’clock his guns opened fire. Under cover of their smoke, Prince Commercy led the Imperialist right wing with great firmness and dash against the French left. They were received with a steady file, two bullets finding their way into the body of Commercy, who fell mortally wounded. The fall of their leader checked for a moment the advance of the Imperialists; but Eugene, whose eyes were everywhere, despatched on the instant three regiments to support them. Three times were they repulsed. Then Eugene dashed forward to lead them to a fourth attack. This attack succeeded. The enemy were forced to let go their hold and fell back into their camp. Meanwhile the fight was raging with extraordinary fury on the Imperialist left. There Guido Starhemberg commanded, opposed to King Philip and Vendôme. Almost simultaneously with Commercy, Starhemberg had made his attack. At first nothing could withstand his dash. He drove the enemy before him with such fury that they were about to break, when Vendôme rushed forward, and, taking advantage of a brief pause which, the nature of the ground caused in the Imperialist attack, rallied his men, and led them on himself. For a moment this gallant conduct restored the battle. A charge of cavalry, opportunely made by the young Vaudemont restored the superiority of the Imperialists, and, after a stubborn resistance, the French were forced back into their camp. The day, then, seemed gained. It only remained to storm the camp. But it was now too late. Not only had the sun set, but a thick mist rising from the river obscured the ground. A further advance was impossible. The Imperialists, however, remained in possession of the field of battle, and, covering it with an entrenchment, they occupied it during the night. The French, at the same time, drew a little further back, and spent the night in entrenching their new position. Neither party cared, when day broke, to renew the attack. The days following the battle were spent in cannonading from both sides, each waiting for the other to move. Vendôme was able to force the surrender of Luzzara and Guastalla, and on these grounds, and on the ground that Eugene’s loss had been greater than his own, he claimed the victory. But if the proof of victory be the baffling of the main plan of the enemy, then most decidedly that of Luzzara belongs to Eugene. In his retreat Vendôme took Borgoforte and Governolo, and then placed his army in quarters along the Adda, near Cremona. Eugene lodged his troops in the country, not yet desolated, along the Secchia and the Tartaro. He had reason to be content. With a small army he had maintained his position in Northern Italy against vastly superior numbers, directed by one of the greatest generals of France.